The 12 finalists in the 2009 Britain’s got biking talent with Carole Nash contest have been announced. They have beaten off competition from 470 other entrants to be voted the best bikes in the UK this year. More than 17,000 MCN readers voted in this years contest, making it one of the most successful ever. on Thursday November 26 at the Britain’s got biking talent stand (location 2B15), where the finalist’s will be on show all week. You can pick up your free calendar featuring all 12 finalists at the Carole Nash stand (location 2C20). For those of you who can’t make it to the show, or want more information about the bikes the 12 will all be featured on motorcyclenews.com in the run up to the show. Why this bike? I had a picture of the original bike that Mike Hailwood won the TT on on my wall when I was 13. It was my dream bike, then in May this year I went in to a local dealership and it was just sitting there. I had to have it. It had been ridden at the TT in 2008 by Hailwood’s son Dave, and he had signed the tank. 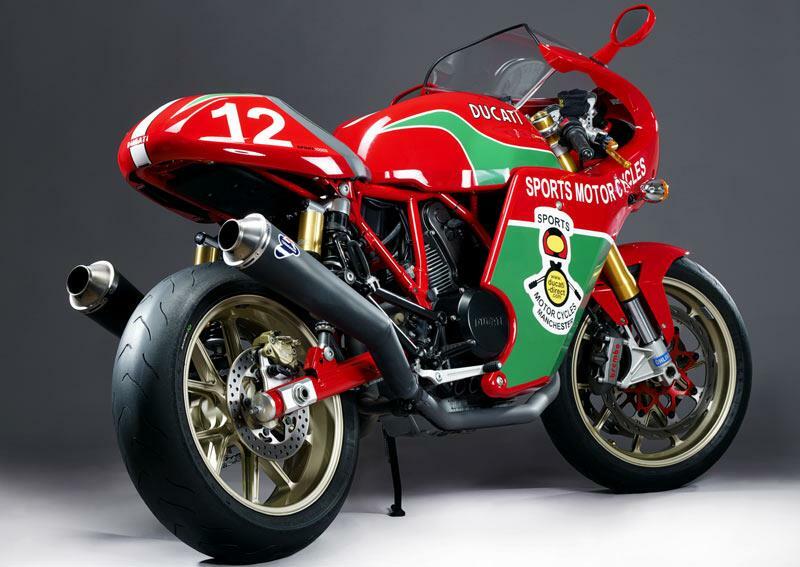 Modifications: It is based on a Ducati 1000cc Sports Classic. It has 1098 front forks, a 999R front wheel, 1098 brakes with wavy discs, a Termignoni exhaust, and plenty of cosmetic mods. Favourite thing: The way it looks, and the attention it draws – everyone who sees it loves this bike.